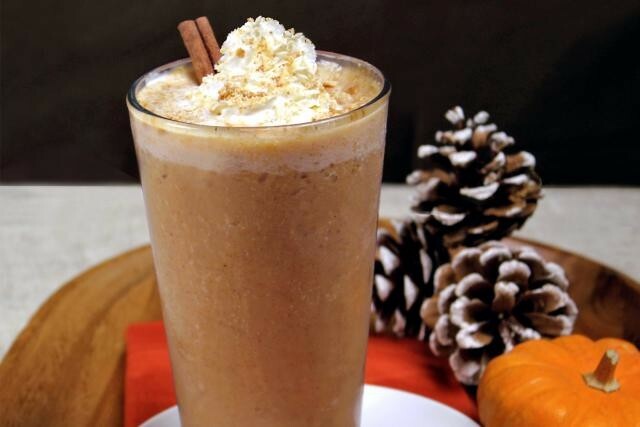 Any Time of Year: Make This Delicious PUMPKIN PIE SMOOTHIE! Add extra flavor to your smoothies and make them even more enjoyable by adding some pumpkin! Pumpkin is a perfect companion to boost the flavor, fiber and creamy texture of traditional smoothies made with apple, banana, peach and mango. 1 cup crushed ice (or 5 – 8 ice cubes). Blend all of these ingredients at a high speed until the mixture is smooth, then pour into a glass. To make it perfect: add a spoonful of whipped topping and then sprinkle this with the crumbs of 2 crushed low-fat honey graham crackers! Serious pumpkin lovers will also enjoy adding some healthy pumpkin to their favorite light cheese or tomato-based sauce recipes, or try this: Perfect Pumpkin Pasta Sauce. Everyone Loves This: Rich & Creamy PUMPKIN PASTA SAUCE! Research Results: Enjoy THIS BREAKFAST to Avoid Over-Eating Later in the Day! Pumpkin has great nutritional values… Vitamins and fiber too!